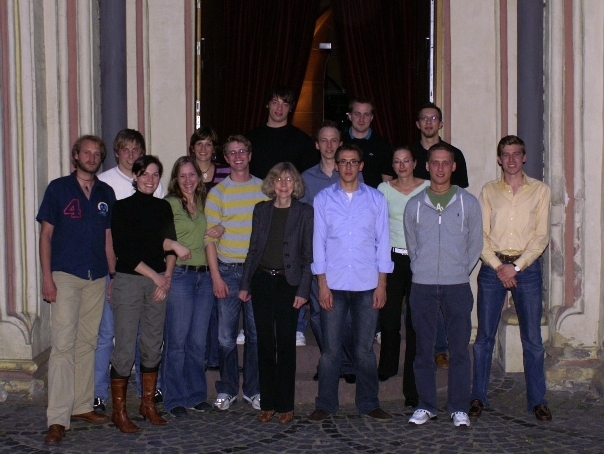 Starting summer 2001, the DAAD supports an exchange program to a foreign country (7th or 8th semester). After having attended a 6 week-basic course in nuclear chemistry (Nuclear Chemistry Summer School) in June/ July, the experimental work focuses on organic synthesis of compounds, which will be labelled with the carbon isotope 11C or the fluorine isotope 18F. These radiopharmaceuticals are used for studies with positron emission tomography. This semester abroad ISEP (International Student Academic Program) is open for both the diploma studies “chemistry” and “biomedical chemistry"